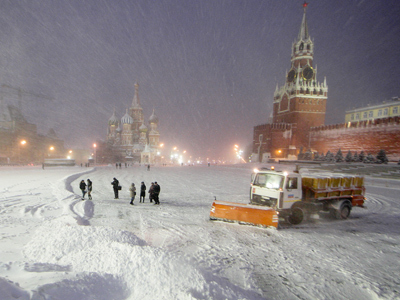 Frost and snow may be no surprise to people living in Siberia, but spring blizzards proved deadly in the Russian region over the weekend. Extreme conditions and a lack of precautions claimed at least 7 lives on Saturday. Three people have died in a snowed-in car in Altai Krai, southwestern Siberia, suffocating with exhaust fumes. The tragedy happened after the car was stuck in the road near a small village amid a severe snowstorm on Saturday night. Apparently, the passengers were trying to warm up in the vehicle by leaving the engine running and closing windows, which led to asphyxiation. The four people were on their way back from a fishing trip, RIA Novosti reports citing police. They spent the night in the vehicle, and then one of them went to the nearby village looking for help. When he returned, his fellow passengers were dead. 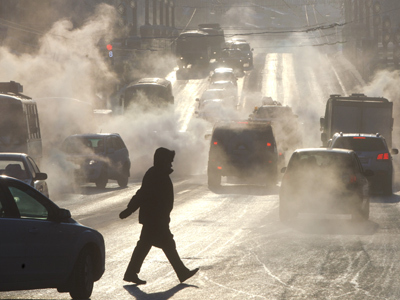 The temperature in the area was below -15 degrees Celsius at the time of the incident. Four other people died in the region’s Novosibirsk Oblast the night before, also after asphyxiating in their car. The local emergency service has said the four young men suffocated as a result of a technical glitch in the vehicle’s heating system as they rested at the side of a road. 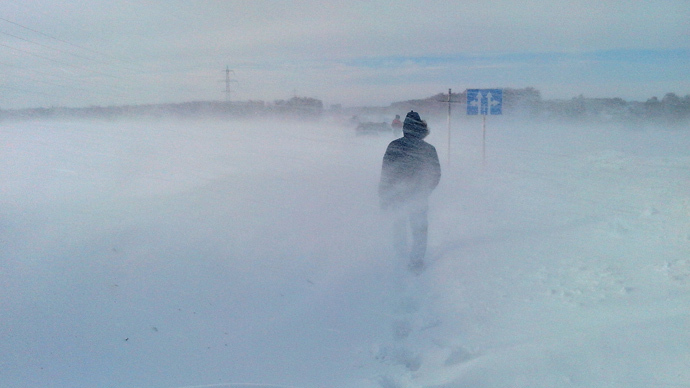 A tragic account of a man going astray in a blizzard has also been reported from a Novosibirsk rural area. The 23-year-old had to cross 9 km through the snow to get to a village where his ill relative lived. The raging snowstorm confused the young man, and he went the wrong way from the station. The man managed to call his parents and tell them he was lost, but then his phone battery went dead. After hours of searching in vain, the locals discovered his frozen body well off the track on Sunday morning. 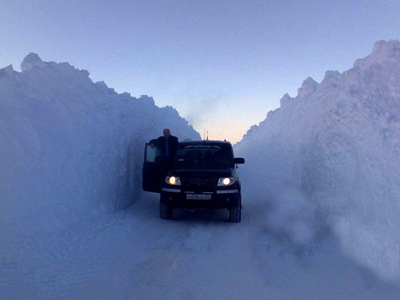 Over the weekend, heavy blizzards and strong winds paralyzed traffic across Siberia, leaving more than a hundred of cars stuck in the snow.